This delightful 25cm tall Paddington Bear by Rainbow Designs, is gorgeously characterful. Paddington is non-jointed and made from a tactile, luxury plush, with printed paw pads, and beans in his lower half. He wears a wool felt hat and hooded duffle coat, with gold initials, plus the must-have label, and welly boots with paw print soles. Surface washable. 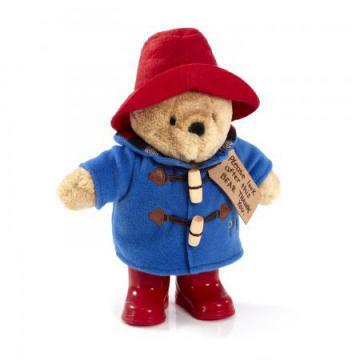 Feedback for Rainbow PA1084 Classic Paddington Bear with boots has been compiled from 1 reviews.